Ask any member of the movie-going public to start naming A-list actors and you won't have to wait long for Brad Pitt's name to come up. He's been one of Hollywood's biggest stars for decades, and for good reason. Critics tend to rule in his favor, and he's retained his pulling power at the box office (You'd need a second pair of hands to count all his movies that have grossed more than $100 million). Away from the big screen, the actor has been lauded for his humanitarian work. Put simply, he's the kind of guy that men want to be and women want to be with. Well, most women. Pitt's good looks and affable nature have endeared him to millions over the course of a long and successful career in the film business, but there's at least two people in Tinseltown who have witnessed his seldom seen sketchy side. Both Jennifer Aniston and Angelina Jolie kept the grisly details of their respective divorces from Pitt under wraps initially, but both actresses gradually began to open up about what life with Pitt was really like. He's been dogged by allegations of drug abuse and violence in recent years, but that's just the tip of the iceberg. 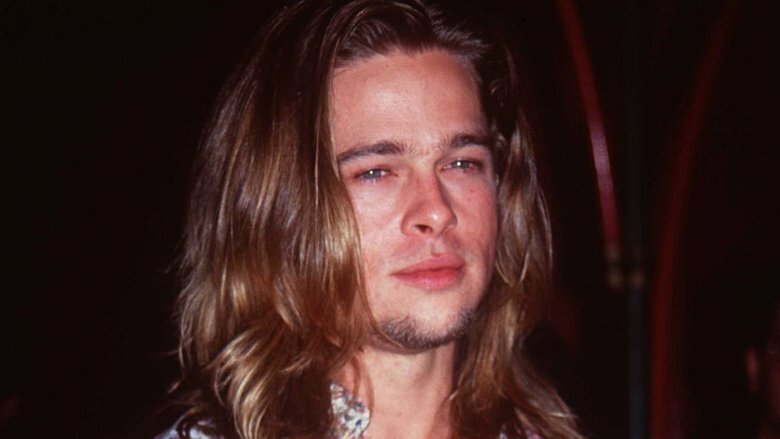 Let's take a closer look at all the times Brad Pitt was apparently less-than-perfect. Pitt and Aniston announced they were divorcing in January 2005. Four months later, he was photographed on a beach in Africa with his Mr. & Mrs. Smith co-star, Angelina Jolie, and Jolie's adopted son. Naturally, the press had a field day with the photos, fueling rumors that claimed what would eventually become the truth: that Jolie and Pitt were romantically involved. Jolie and Pitt did what they could to downplay the timeline of events. Speaking to Vogue in 2006, Jolie said they were friends before they were lovers and did not get together until after Pitt split from Aniston. However, the couple's story appeared to change in 2008, when both Pitt and Jolie implied in separate interviews that they had fallen in love with each other on the set of Mr. & Mrs. Smith. While Pitt was off building a relationship with Jolie, Aniston was left to pick up the pieces. Nowhere is this more evident than in her heartbreaking September 2005 interview with Vanity Fair, during which she burst into tears immediately after greeting the magazine's writer. Aniston spends much of the piece vacillating between multiple emotions regarding her high-profile divorce. "Am I lonely? Yes. Am I upset? Yes. Am I confused? Yes. Do I have my days when I've thrown a little pity party for myself? Absolutely. But I'm also doing really well," she told the magazine. "I've got an unbelievable support team, and I'm a tough cookie…I believe in therapy; I think it's an incredible tool in educating the self on the self. I feel very strong. I'm really proud of how I've conducted myself." Still, no matter what emotion she was feeling, it's hard to read those words and not feel incredibly sorry for her — and incredibly angry at Pitt. One of the most ridiculous moments in Pitt's post-Aniston career came about seven months after their split was announced, when W magazine published a photo shoot featuring Pitt and Jolie appearing as a retro married couple living in a suburban home with children. According to Vanity Fair, Pitt not only conceived the insensitive shoot but also made money off it, as he was the retainer of the shoot's international rights. News of this discovery understandably hit Aniston hard. "Is it odd timing? Yeah. But it's not my life," she told Vanity Fair. "He makes his choices. He can do — whatever. We're divorced, and you can see why." "I can also imagine Brad having absolutely no clue why people would be appalled by it," Aniston added. 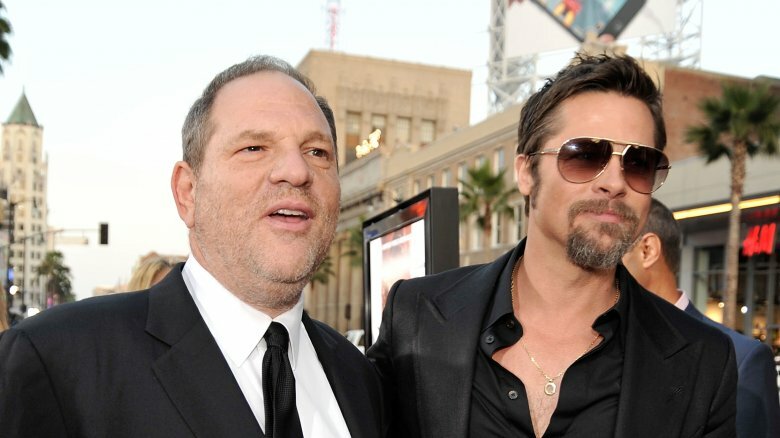 "Brad is not mean-spirited; he would never intentionally try to rub something in my face. In hindsight, I can see him going, 'Oh — I can see that that was inconsiderate.' But I know Brad. Brad would say, 'That's art! '…There's a sensitivity chip [in his head] that's missing." Ouch. Jennifer Aniston's profile for Vanity Fair describes Brad Pitt immediately checking out of their marriage as soon as he began to work with Angelina Jolie on Mr. & Mrs. Smith. That proved to be bad timing for Aniston, whose hit sitcom, Friends, was coming to an end after ten wildly successful seasons on NBC. "That was really painful. It was a family, and I don't do great with families splitting up," she said of saying goodbye to Friends. "It was hard to have such a wonderful constant in your life, a place to go every day, and then all of a sudden it's not there." Aniston claims she reached out to Pitt for support during that time but received nothing from him. "He just wasn't there for me," she said. In fact, he didn't even come to the final taping of Friends. In his defense, Aniston claimed he was working at the time. Did he exploit those baby rumors to escape his marriage? For Aniston, the most painful part of losing Pitt must surely have been how quickly he settled down and started a family with another woman. For years, Aniston put up with rumors that she was reluctant to have children with Pitt, but those close to the Friends star claim that storyline couldn't be further from the truth. "When Brad and Jen were in the marriage, having a baby was not his priority — ever," a source told Vanity Fair. "It was an abstract desire for him, whereas for Jen it was much more immediate." 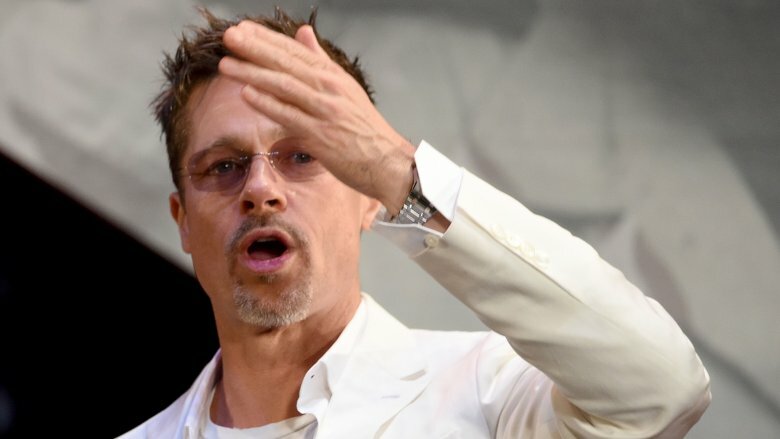 The insider detailed a "diabolical" side of Pitt that people rarely see, suggesting he may have used negative rumors about Aniston to his advantage. "Did he think; I need to get out of this marriage, but I want to come out smelling like a rose, so I'm going to let Jen be cast as the ultra-feminist and I'm going to get cast as the poor husband who couldn't get a baby and so had to move on?" Whether it was orchestrated or not, Pitt got his wish, and Aniston got to watch her ex-husband and his new flame sail off into the sunset. "It was extremely hurtful to Jen that he was seen with another woman so quickly after they were separated," actress and friend Andrea Bendewald told the mag. 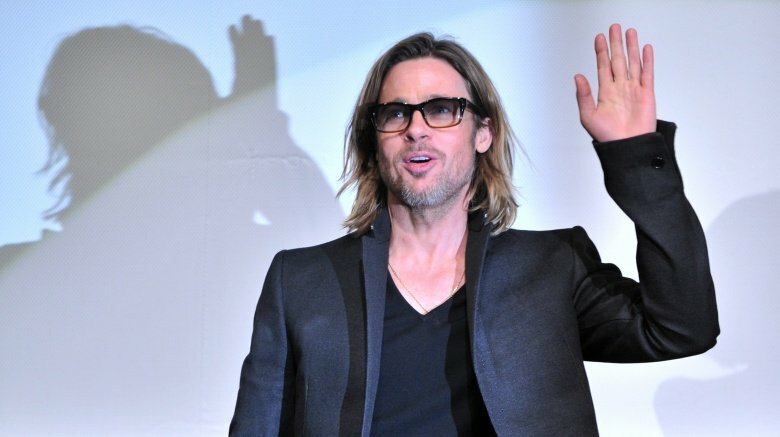 Brad Pitt's press tour for the 2011 drama Moneyball got off to an awkward start when he seemingly implied to Parade magazine that he wasn't living an interesting life while he was married to Jennifer Aniston. "It became very clear to me that I was so intent on trying to find a movie about an interesting life, but I wasn't living an interesting life myself," he said. "I think that my marriage [to actress Jennifer Aniston] had something to do with it. Trying to pretend the marriage was something that it wasn't." The interview generated such enormous backlash that Pitt issued a statement claiming his comments were misinterpreted. "It grieves me that this was interpreted this way," he said in a statement (via Express). "Jen is an incredibly giving, loving, and hilarious woman who remains my friend. It is an important relationship I value greatly." 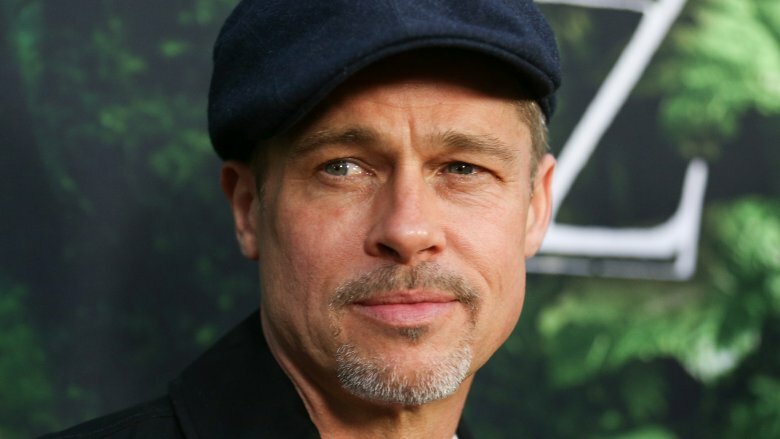 Despite the fallout from his interview with Parade, Brad Pitt once again implied that he wasn't exactly loving life while he was married to Jennifer Aniston during a profile for Esquire magazine in 2013. "For a long time I thought I did too much damage — drug damage," he said. "I was a bit of a drifter. A guy who felt he grew up in something of a vacuum and wanted to see things, wanted to be inspired. I followed that other thing. I spent years f***ing off." "But then I got burnt out and felt that I was wasting my opportunity. It was a conscious change. This was about a decade ago. It was an epiphany — a decision not to squander my opportunities. It was a feeling of get up. Because otherwise, what's the point?" For those doing the math at home: All this squandering and wasting was happening during his time with Aniston. Did he choose weed over his wife? 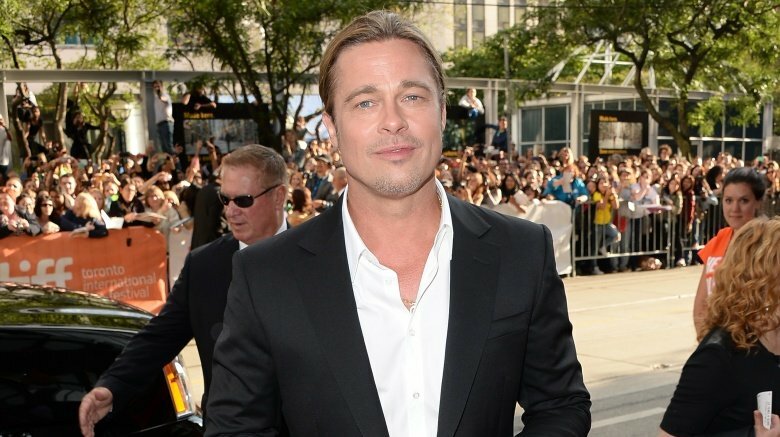 The fact that Brad Pitt smoked marijuana was once one of the worst-kept secrets in Hollywood. When he appeared on Zach Galifianakis' Between Two Ferns in 2014, the comedian handed him a wrapped gift that was quite clearly a bong. "You know I'm a dad now," Pitt tells the Hangover star, who reassures his guest that it's a bassoon. "We don't bassoon in my house anymore," Pitt says. This was all in the name of awkward humor, but in truth, Pitt's long-running weed habit is no joke. One of Pitt's most memorable roles from the '90s is hapless stoner Floyd in True Romance. It's little more than a cameo (Pitt is plastered to the coach half the time) but he steals the show. However, the actor's real life at the time wasn't dissimilar. Speaking to Parade magazine in 2011, Pitt revealed that he spent much of the '90s living in a haze. "I started to get sick of myself sitting on a couch, holding a joint, hiding out," he recalled. "It started feeling pathetic." 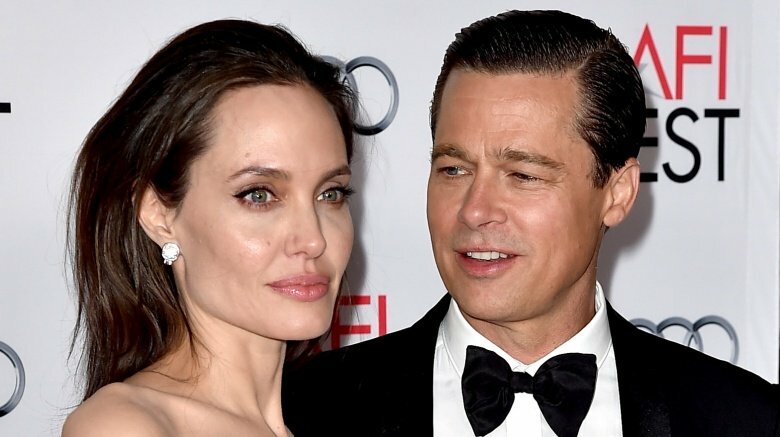 Pitt has talked frankly about his addiction and wanting to conquer it, but reports suggest his ongoing struggles may have forced Angelina Jolie's hand. According to TMZ, Pitt's alleged "consumption of weed and possibly alcohol," coupled with supposed anger issues, could be "dangerous for the children." Attorney Robert Offer reportedly said Jolie made the painful decision to divorce "for the health of the family." When the bombshell that Brangelina was coming to an end hit the press in 2016, a whirlwind of allegations followed. The day before Jolie filed for divorce, there was reportedly an incident aboard a private plane involving Pitt and his then-15 year old son, Maddox. The aforementioned "anger problem" allegedly came to a head during a private flight from France to the States, with various websites reporting that Pitt got physical after an explosive row. A TMZ source claimed Pitt "lunged" at Maddox and "connected in some fashion with his son." The actor was investigated for child abuse and cleared of any wrongdoing, so we're not necessarily going to label that behavior sketchy, but his behavior following the incident has been sketchy — at least, according to Jolie. In an August 2018 court filing, the actress (who is seeking full custody of all six children) alleged Pitt was not been adhering to the "informal arrangements" they agreed upon. "[Pitt] has a duty to pay child support," Jolie's attorney said (via NBC News). "As of present, [Pitt] has paid no meaningful child support since separation." Pitt's camp staunchly denied Jolie's claims, calling them "a thinly-veiled effort to manipulate media coverage." The actor's legal team responded with a court filing of its own, claiming (via the The Telegraph) that he had sent more than $1.3 million to the kids and loaned $8 million to Jolie so she could buy a new house. Harvey Weinstein made a lot of money for a lot of people in Hollywood before his empire came tumbling down in 2017, and questions over how much those around the disgraced producer actually knew about his apparent predatory behavior are still being asked. Long-time collaborator Matt Damon insisted Weinstein treated Gwyneth Paltrow "incredibly respectfully" when the young actress worked for him on 1996's Emma, but Paltrow tells a very different story. She claims Weinstein cornered her in a hotel room and made a pass at her, leaving her terrified. She told Pitt (they dated from 1994 to 1997), and he apparently threatened Weinstein. "He said, 'If you ever make her feel uncomfortable again, I'll kill you,'" Paltrow told Howard Stern (via NME). Angelina Jolie claims Weinstein tried the same move on her around the release of 1998's Playing by Heart, so it's safe to assume Pitt knew Weinstein was allegedly a predator. So why did he continue to work with him? The Daily Beast notes that Pitt made 2009's Inglourious Basterds and 2012's Killing Them Softly with Weinstein. The actor stayed silent after the Weinstein sexual assault scandal broke (E! News called Pitt a "notable voice that's missing from the narrative,") but we now know that he's been busy planning a movie about the controversy. Atonement, or Oscar-bait? You decide.